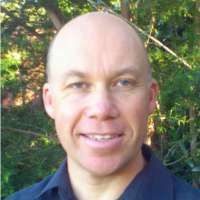 Hi my name is Phil Irvine and I’m the new Pastor at Emu Plains Community Baptist Church. My family and I have recently moved all the way from the Blue Mountains and come to live in the community here in Emu Plains. Jesus said “I have come that you may have life, and have it to the full.” Sometimes we find that our lives are so full with things to do, but we don’t seem to be fulfilled. I enjoy running, spending time with my family, playing Xbox and a good coffee. But what fills my life, is Jesus. If you are wanting your life full, the best it can be, why not check out Jesus and take him up on this promise. In this passage Paul's message of Jesus was falling on deaf ears in a lot of cases because the Ephesians had forgotten what it meant to be a follower of Jesus. It is easy for us to move into the same situation as the Ephesians where we fall away from the enthusiasm we had when we first became a Christian. We need to continue to work on our relationship with Jesus and rely on Him in all things and not do things in our own strength. Political parties send out messages and promises to the people, but even though we all hear the same message, we each respond to those messages differently. In this chapter of Acts, Paul visits three different cities, and whilst he brings the same message to each city, the good news of Jesus, people responded to the news differently. Today, we have this same message to share with others. We are not responsible for how people respond to the message we bring, but we are to faithful, like Paul, in delivering the good new of Jesus to others. God has made us for partnerships and when we come together with others, disagreements can occur, as was the case in this passage. As a church, we aim to live in unity with each other as we strive to live like Christ. Paul and Barnabas could agree on the mission but not agree on the team. The gospel is about getting the right balance of staying firm and true to God's Word, but also being flexible when appropriate. We are called to be partners with each other and to be partners with God so that He can speak through us as we minister to others. Are you ready to partner with God? In Act 15 we have a very important meeting where the church met to talk about some important issues. At the heart of this discussion was the relationship between LAW and GRACE. God had been moving in some amazing ways, as He saved the Gentiles, but did they still need to follow the law of Moses? Time and time again we have seen that all are saved by grace and not by their works. Peter says in v.11 that "we believe it is through the grace of our Lord Jesus that we are saved". This is still true for us 2000 years later. Peter has unlocked the door to heaven for the Gentiles and now Paul and Barnabas continue to take the good news to those who haven't heard. In these two chapters they will face everything thing from a warm reception to being misunderstood, mistreated and even an attempt to take their lives. But they are faithful in sharing the good news about Jesus, that through him everyone who believes is set free from every sin, a justification you were not able to obtain under the law of Moses. Firstly, we must believe and accept Jesus and secondly we too should be faithful in sharing this good news no matter what is happening around us. Take a step of faith and walk through the door. God has always seen, always listened and has always been attentive to what is happening in this world and what is happening to us personally. In this passage we see King Herod and the Jews standing against the church. With Peter's arrest and being put in prison, his future looked bleak, but the church continued to pray earnestly for his deliverence, which was answered in a miraculous way. For us, we can find peace in any situation we face by handing over our concerns to God in prayer. As Peter responded to God's answer through the angel's call and leading, we also need act in response to God's answers to our prayers. Jesus had told His disciples that they would be His witnesses in Jerusalem, and in all Judea and Samaria, and to the ends of the earth. This chapter in Acts marks the start of the Gentiles hearing the good news of Jesus. God has prepared Cornelius and now calls on him to act in faith in sending for Simon Peter. Peter has already been used by God in many ways, but there is still more for Peter to learn, and so in the same way as Cornelius, prepares Peter for him to learn more. Both Cornelius and Peter responded positively to God's call. The challenge for us is how do we respond to God's call in our life and are we ready to act on this? Jesus' arrival in this world was not met with special privileges. He was born in stable and came humbly to live amongst with the people. There are lots of things, as we live today, that can make us afraid. The truth and reality is that God is with us in all things as we are reminded in Isaiah 41:10. We need to stand firm in our faith in God and trust in Him in the circumstances we face each day. We know the world still needs to be saved - there are still many conflicts and unrest throughout the world today. In the time of Jesus, shepherds had a low standing in Jewish society, but history shows that God has raised them up to to do great things. In this passage today, God chose the shepherds to be one of the first groups to know about the good news of Jesus' birth. Today, this is still good news and we need to let others know about Jesus, the only Saviour for this world.